This is my third (but first posted here) build, made to be flashy, powerful, and quiet - hence the name. It's the first build that I did entirely on my own. It's used for a lot of multitasking. I run 3, sometimes 4 screens on it. One is often streaming discord, one is usually streaming or playing some form of media, and the third is typically browsing, doing some kind of work, or gaming. I DM dungeons and dragons online and when I do that, the 4th screen is used as well. So far it has handled absolutely everything I can throw at it, a huge upgrade over my previous FX-8350. I'm not even overclocking it yet. Building in the NZXT case was an absolute dream. They may have got a customer for life with this build. I've seen different cases for both my other builds, one was a full corsair case and another was a mid off-brand. Bother were okay, but this NZXT case set a new standard for my expectations. It manages to be bother discreet yet still spacious, and the cable management in the back is amazing. My only gripe would be I wish they had included a 2.5 mount spot on the back, as there is plenty of room. Other than that, no real complaints. Hats off to Asrock too. This is my first Asrock mobo, and I'm pretty satisfied so far. The BIOS isn't really as intuitive as an Asus one, but it's also not terrible. 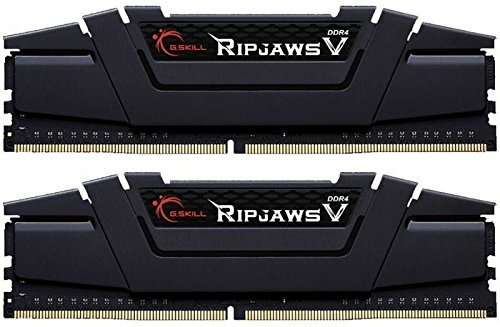 It was easy enough to navigate and it was a breeze to overclock my ram to 3200, even though the Ripjaws technically isn't on the approved list of ram. So pretty happy with that. There's quite a lot of people who have had issues with NZXT's CAM software for controller the Aer fans and Kraken cooler, but honestly it was not a problem for me so far. Everything just worked right out of the box, granted I haven't used it for very long yet. Quick note, the 4TB hdd was left over from an older build, I bought it like 2 years ago but it's still kicking so I threw it in here too to expand my storage without having to buy another hdd yet. I plan on throwing in a second m.2 ssd eventually, possibly 1 TB, when I have some more money to throw at this. Whisper quiet and provides more than adequate cooling for stock, with plenty of room for overclocking headroom. Took a star off because I had some issues getting it to work. When I first installed it my temps were skyrocketing to 100 C. It was making a terrible gurgling sound from the pump like it was struggling to move the fluid. Even still, the 100 C temps made me feel like it wasn't even getting contact with the CPU, so I went ahead and reseated it - twice. No improvement. I installed the stock cooler that comes with Ryzen and temps dropped down to what should be expected from an air cooler, so I was confident I wasn't just botching the seating. Read some people having similar issues online and tried what they suggested - most notably, shaking the pump block while the radiator is above it, trying to move any air that might be stuck in there up to the rad and out of the pump. Reinstalled it after that and temps were in the 60's, which is awful for an AIO, but at least it wasn't in the 100's. I played around with it a little more and eventually the gurgling went away and temps have dropped down to 30's for idling, much more acceptable. I'll be keeping a very close eye on it in the future. My first Asrock mobo and I don't regret it. It's stylish and still functional. TONs of IO in the back, lots of headers for USB, RGB, and case fans. Tons of sata slots, strong PCI slots, and everything is pretty strategically located around the board for cable management purposes. Tons of power phases. Heatsink for one of the m.2 slots. Running an nvme m.2 as my boot drive without issues, and my Ripjaws V @ 3200 running perfectly. My only two complaints: no heatsink for the second m.2 slot, and the onboard wifi is a joke. This computer is in a place where it is impractical to hardwire it so I use wifi, and I specifically bought a mobo with onboard wifi hoping I wouldn't have to put in a wifi card. Alas, the onboard wifi barely picks up my wifi signal and when it does is slow as hell, whereas a TPLink wifi adapter card I have has absolutely 0 problem picking up the wifi and going very fast. Working @ 3200 on a Asrock x470 Taichi even though it's not on the "approved" list of ram. Got it slightly OC'd, +100 clock and +400 memory stable. Not the best 1080 OC I've seen but it's pretty solid. It's pretty silent even under load. There's a very minor coil whine when under heavy load, but I can't even hear it when the case is all put together so it's a nonissue for me, especially cause coil whine is so common among 1080s. 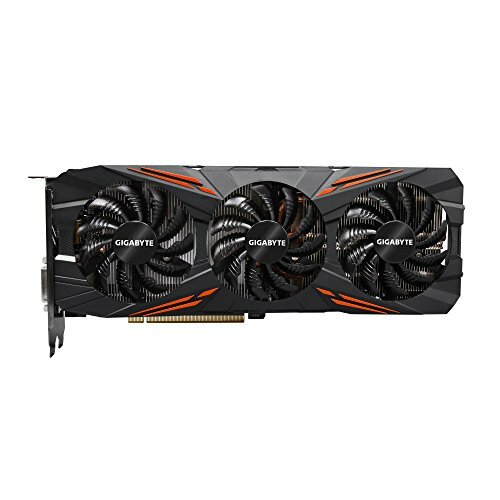 My biggest problem with it is the trash software Gigabyte has for controlling the RGB on the side. Doesn't work half the time, I can't change the colour or even turn it off, so it's clashing with the rest of my colour scheme. Minor gripe but a gripe nonetheless. This case is amazing. The cable management options alone make this beast worth every penny, but the tempered glass side panel is beautiful too. The entire case is minimalist with just a splash of stylistic flair. It's so ******* perfect. If I had to nitpick, I wish they had put a 2.5 mounting spot on the backside because there's plenty of room. Silent, powerful, does exactly what it needs. Included jumper for testing is a nice touch. Heatwraps near the mobo-side of cables is pretty damn stiff but I have not used many PSUs that aren't, it isn't enough for me to knock a star off. They include way more cables than I'll ever need but it's nice to have them all just in case. It's a nice small profile too, and the eco mode works well and keeps the computer running very quiet overall. Couldn't find many USB expansion options, and none as elegant as NZXT's solution. Keep in mind though that it uses molex for power, not sata, so for most people this will most likely mean having to add a cable to their modular psu. I was already going to need a molex cable for my NZXT hue+ anyway though, so it wasn't a problem for me. Does updating wi-fi drivers on mobo doesn't help? It's shame to hear this, i was planning to go for this mobo. And even when it does connect, the speed is absolute trash. I'm talking like 1 mb/s. That said, I don't regret the board. But don't buy it for its wifi, that's for sure. The bluetooth works fine though, loving having that. The extra 4 pin is for extreme overclocking. The average user, and even the average overclocker does not need it. Just using 8 is fine, but if you DO use the 8+4 that is also fine, it won't cause any damage.